Over 500 million people worldwide are infected with chronic liver pathogens including chronic hepatitis viruses and zoonotic liver flukes, which leads to severe liver diseases. Additionally, several studies have demonstrated that HIV co-infection exacerbate chronic HBV/HCV-induced liver diseases, resulting in increased mortality. The increased prevalence of obesity and metabolic syndrome-associated non-alcoholic fatty liver disease in the United States and other developed countries also contributes to the global liver disease burden, with approximately 25% of the US population affected. The development of therapeutics against these diseases has been hindered by the lack of robust small animal models that accurately recapitulates human disease; in most cases rodents are not susceptible to infections or are resistant to disease. The lack of robust small animal models of human infectious diseases also poses a major hindrance in studying emerging diseases such as Zika virus. Innate immune cell infiltration including macrophage infiltration is a major component of the inflammatory milieu associated with chronic liver infections, non-alcoholic steatohepatitis and most human infections. Importantly, macrophages play a critical role in innate immune response, modulating gut microbiota, macronutrients (i.e., iron, lipids, etc.) sensing and metabolism, and tissue integrity/remodeling; therefore, elucidating the role of macrophage activation in human infectious diseases and metabolic syndrome-associated diseases will provide novel insight into the mechanisms of immune dysregulation and tissue pathogenesis. The Bility lab is broadly interested in elucidating the role of macrophage polarization in human infectious diseases and obesity/metabolic syndrome-associated diseases utilizing humanized mouse models carrying autologous functional human immune system, human liver cells and other human organ systems along with strong emphasis on collaborative translational research with clinical investigators. Major research efforts are: 1) Elucidating the role of macrophage polarization in chronic liver infections (HBV, HCV, liver fluke), HIV-hepatitis virus co-infections and associated liver diseases; 2) Elucidating the nexus between macrophage polarization and gut microbiota in fatty diet-induced non-alcoholic steatohepatitis and associated liver diseases; 3) Developing humanized mouse model for human diseases, including viral hepatitis, HIV, arbovirus, etc. In addition to his biomedical research, Dr. Bility also has strong interests in health security and pandemic/disaster response and management. Dr. Bility has extensive training and expertise in medical planning and operations for various contingencies including pandemic, chemical, biological, radiological, and nuclear (CBRN) disaster events in both domestic and international conditions. 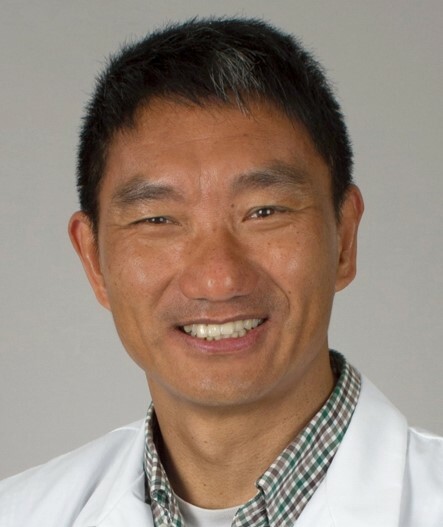 The work of our group (jointly directed by Patrick Moore and Yuan Chang) has focused on human tumor viruses since the early 1990s when we identified Kaposi's sarcoma associated herpesvirus (KSHV/HHV8) and showed that this virus was causally associated with Kaposi's sarcoma, the most common AIDS-related cancer in the United States and the most common malignancy in parts of Africa. We sequenced the KSHV genome, developed serologic assays, determined its prevalence in human populations, and characterized many of its critical viral oncoproteins. We have continued to study virus-host cell interactions in the context of dysregulation of pro-proliferative and anti-apoptotic pathways. We recently identified the seventh human tumor virus, Merkel cell polyomavirus (MCV), from a Merkel cell carcinoma (MCC). We characterized the transcriptional products of MCV and described the early region viral T antigen oncoproteins. Our work has established that MCV causes ~80% of MCC: we determined that the virus is clonally integrated in MCC tumor cells; that human tumor-associated Large T (LT) antigens contain signature truncation mutations; that T antigen proteins are expressed in MCC tumor cells by novel antibodies we developed; and we are the first laboratory to show rodent cell transformation by MCV sT antigen but not the LT antigen. We have identified several novel cellular interactors for MCV T antigens that open new avenues of investigating critical oncogenic signaling pathways. We have focused on many aspects of cancer etiology as modeled through oncogenic tumor viruses. The research in Dr. Coyne's lab combines virology, immunology, and cell biology to dissect various aspects of host-virus interactions, with a particular focus on polarized cell types. In particular, Dr. Coyne's lab focuses on: 1) the mechanisms by which enteroviruses have evolved to successfully circumnavigate the barriers presented by polarized cells to facilitate virus entry, replication, and spread; 2) the mechanisms utilized by enteroviruses to evade and/or suppress innate immune signaling; 3) the identification of novel regulators and components of the innate immune system; and 4) the role of placental-specific microRNAs in antiviral signaling and the induction of autophagy at the maternal-fetal interface. Dr. Glorioso has spent his career studying the molecular biology of HSV and the last 20 years developing HSV gene vectors. He is a world-wide leader in this field and has to the expertise to develop the technology related to the treatment of diseases of the peripheral and central nervous system. His interest in peripheral nerve disease has included nerve degeneration due to diabetes and cancer drug therapies that have led to treatments of animal models. Studies to understand the pathophysiology of chronic pain and the identification of gene therapy interventions that create effective pain therapies have been long standing interests and he was among the first to develop HSV vectors to treat pain. This research has culminated in clinical trials for treatment of cancer pain. Dr. Glorioso has also focused his attention on neurodegenerative diseases that include SCA1 and Huntington's disease and the development of oncolytic vectors to treat brain tumors. Part of this research extends his application of HSV vectors for vector delivery across the blood brain barrier and for targeting specific neuronal cell populations in animals. He has also recently developed HSV vectors for the creation and neuronal differentiation of human iPS cells derived from fetal brain and human fibroblasts. Research in my lab combines nuclear magnetic resonance (NMR) spectroscopy with biophysics, biochemistry, and chemistry to investigate cellular processes at the molecular and atomic levels in relation to human disease. We presently focus on two areas in biology: gene regulation and HIV pathogenesis. To understand how biological macromolecules work and intervene with respect to activity and function, detailed knowledge of their architecture and dynamic features is required. Evaluation of the major determinants for stability and conformational specificity of normal and disease-causing forms of these molecules will allow us to unravel the complex processes associated with disease. Our group has developed new NMR methods for determining three-dimensional structures of biological macromolecules and applies these to challenging systems. Key contributions include the development of restrained molecular dynamics/simulated annealing algorithms and multidimensional, heteronuclear spectroscopy, which allowed the extension of conventional NMR methods to higher molecular weight systems. Our group has solved solution structures of a large number of medically and biologically important proteins, including cytokines and chemokines, transcription factors and their complexes and various HIV and AIDS related proteins. Work is also carried out on protein folding and design using the model protein GB1. Dr. Homa's research is focused on understanding the molecular basis of herpes simplex virus type 1 (HSV-1) capsid assembly and viral genome packaging into the viral capsid. DNA encapsidation and cleavage involves the coordinated interaction of several HSV proteins that are essential for production of infectious virions. How these multi-protein assemblies associate and interact to accomplish this complex task touches on fundamental questions in biology. The HSV-1 genome is translocated into the icosahedral procapsid through a donut-shaped 'portal' that is present at one of the 12 vertices of the procapsid. This process is directed by the terminase complex, which consists of the HSV UL15, UL28, and UL33 proteins that function both as part of the ATP-hydrolyzing pump which drives DNA into the capsid, and also as a nuclease that cuts the concatemeric DNA at specific sites to yield a capsid containing the intact genome. The capsid is then stabilized by the addition of the capsid vertex specific component (CVSC), composed of the UL17 and UL25 proteins, which functions to retain the packaged DNA and to signal for nuclear egress of the mature DNA-filled capsid, as well as for nuclear attachment of the incoming, infecting capsid. Seven viral gene products are required for the stable packaging of viral DNA into the preformed HSV procapsid. Orthologs of these HSV DNA packaging genes are found in all three classes (alpha, beta, and gamma) of herpesviruses. Information obtained about the function of these proteins from these studies should therefore apply to other herpesviruses such as human cytomegalovirus, varicella zoster virus and Epstein-Barr virus. Dr. Kinchington's research program addresses the biology of two human alpha-herpesviruses (VZV and HSV) and their interaction with neurons in model systems. Both infect most of the human population, and have developed means to persist in the host sensory neurons, only to later reactivate and cause further disease that leads to significant human morbidity. Work is primarily focused on varicella-zoster virus (VZV), which causes chickenpox upon primary infection and the debilitating herpes zoster ("shingles") when the virus reactivates from latency. Zoster develops on a third of those infected with VZV, and most cases are painful. However, 30% develop long-term, intractable and debilitating chronic pain (post-herpetic neuralgia, or PHN) which is difficult to treat. Many neurological diseases, paralyses and brain infarctions are caused by VZV, and neurological problems may affect vision and cause blindness, such as stromal and retinal diseases, inflammation and ophthalmoplegia. Our work addresses two aspects of VZV. One addresses a model of VZV-induced pain in the rat, as a model of PHN. The model is not only used to address how VZV induces pain, but also to test new strategies for pain alleviation. A second VZV research program is using an in vitro model of VZV-human neuron interactions to address axonal transport and latency. The model uses human neurons derived in vitro from human stem cells and progenitors. We also study herpes simplex virus type 1 (HSV-1), which may repeatedly reactivate from latency and cause problematic recurrent diseases, such as blinding stromal keratitis. Using an HSV-1 mouse ocular infection model, we are seeking to evaluate and augment the blocking of reactivation of HSV-1 by the cellular immune response at the sensory nerve ganglion. Currently, we are determining the parameters required to modulate and improve the function, number and effectiveness of CD8 T cells that infiltrate the latently infected ganglia. This includes determining those viral proteins that are targeted by cellular immunity, and the factors governing HSV targets of immunodominance. Simian virus 40 (SV40) belongs to a small collection of viruses that induce tumors. We utilize SV40 as a model system for understanding the molecular events that drive tumorigenesis. Our studies focus on the virus-encoded master regulatory protein, large T antigen. Large T antigen controls several aspects of viral infection including DNA replication, transcription and virion assembly. In addition, T antigen is necessary and, in most cases, sufficient for SV40-mediated tumorigenesis. T antigen induces tumors in rodents and the neoplastic transformation of cells in culture by binding to key cellular proteins that regulate proliferation and survival, and altering their activities. Our basic strategy is to use a combination of genetics and proteomics to identify cellular targets of T antigen and then to use molecular biology and mouse model approaches to understand how these actions contribute to tumorigenesis. Dr. Rinaldo's research is focused on the relation of disease progression to dendritic cell function and reactivity of CD8 killer T cells to HIV and human herpesvirus 8 (HHV-8, or KSHV, the cause of Kaposi's sarcoma). Dr. Shair's laboratory is focused on understanding the oncogenic mechanisms of Epstein-Barr virus (EBV) in virus-associated B and epithelial cell cancers including nasopharyngeal carcinoma (NPC) and post-transplant lymphomas. Current studies investigate the oncogenic properties of the EBV proteins, latent membrane protein (LMP) 1 and LMP2A, expressed in latently infected tumor cells. We are particularly interested in identifying the molecular basis for the cooperation between LMP1 and LMP2A proteins that results in increased tumor incidence in an epithelial mouse model. In other projects, we are examining mechanisms of viral persistence in epithelial cells to better define the role of viral and cellular proteins in establishing stable infection. Our ultimate goal is to translate these findings to disease-relevant in vivo systems by testing EBV-infected cell lines and developing more advanced mouse models. In summary, our current projects are aimed at defining the oncogenic and pathogenic effects of EBV proteins in epithelial and B cell biology, and translating these molecular studies to in vivo mouse models. In theory, inhibition of undesirable enzymatic activity responsible for disease can be accomplished either directly at the active site or indirectly at a distance (allostery). Important examples of selective enzyme inhibition come from the field of protein-tyrosine kinases, an emerging therapeutic target class for cancer and infectious diseases. Virtually all clinically useful kinase inhibitors to date compete for ATP binding at the kinase domain active site. However, the high degree of protein kinase sequence and structural homology limits the development of highly selective ATP-competitive kinase inhibitors. Alternative drug discovery avenues include allosteric inhibitors that target structural features outside of the kinase domain active site that are unique to individual kinase subfamilies. Allosteric inhibitor mechanisms are likely to exhibit greater specificity for their intended kinase targets, and may also stabilize kinase domain conformations that promote the action of existing inhibitors targeting the active site. Based on these principles, we are actively engaged in a drug discovery campaign to find small molecules that enhance the natural allosteric mechanisms associated with kinase domain regulation. We have developed high-throughput screening approaches based on this concept to identify selective inhibitors for protein-tyrosine kinases of the non-receptor class, including members of the Src, Fes/Fps and Abl kinase families. Selective inhibitors emerging from these screens have promise for future development in the treatment of several forms of leukemia, multiple myeloma, and HIV/AIDS. 1. Biomarkers of neuroinflammation: Using positron emission tomography (PET), we have recently imaged macrophage activation in human and non-human primate models of neurological disease. Using a novel radioligand (PK11195) to assess activated microglia in brains of living HIV-infected human and SIV-infected primates, these studies demonstrated the feasibility, but limited sensitivity of PK11195 PET in monitoring central nervous system (CNS) inflammation (Venneti et al., 2008; Venneti et al., 2004; Venneti et al., 2009; Wiley et al., 2009). While performing these PET studies, we took advantage of the study's serial time points to discover biomarkers of neuroinflammation in serum and cerebrospinal fluid. Using unbiased proteomic analysis with SELDI-TOF mass spectrometry, we discovered a highly sensitive and reproducible biomarker of CNS inflammation, chitinase 3-like 1 protein (CHI3L1). We and other groups have since observed expression of CHI3L1 in a broad spectrum of CNS inflammatory diseases (Bonneh-Barkay et al., 2010). 2. Control of neuroinflammation: While of great utility as a biomarker, CHI3L1 is becoming even more important as a member of a new class of proteins mechanistically involved in the control of neuroinflammation. These novel proteins modulate the interaction between inflammatory cells and CNS extracellular matrix. Using transgenic mice where the mouse homolog of CHI3L1 was deleted by homologous recombination, we have examined the role of this protein in animal models of multiple sclerosis (EAE) and traumatic brain injury (Bonneh-Barkay et al., 2012). In both models, deletion of CHI3L1 led to worse clinical and pathological outcome. Current studies in our lab are aimed at elucidating the molecular mechanism by which CHI3L1 limits inflammation and how to mimic its action using small molecules. These studies hold the potential of developing novel therapies to decrease neuroinflammation, potentially supplementing or synergistically interacting with current anti-inflammatories. 3. Age-related neurodegeneration: While intuitively obvious, it warrants remembering that the single most important determinant of neurodegeneration is age. Through extensive collaborations with the Alzheimer's Disease Research Center, we clinically document the neuropathology of AD and related diseases. The beta amyloid hypothesis of AD proposes that toxic fragments or oligomers of beta amyloid mediate neurodegeneration. We and others have explored the capacity of active immunization to eliminate beta amyloid from the aging primate brain (Kofler et al., 2012). Current studies in the lab are examining how lentiviral infection and combined anti-retroviral therapy modulate age related neurological processes and gene expression associated with neurodegeneration. 4. Viral encephalitis: Collaborations with other University of Pittsburgh investigators have allowed us to expand our studies of the brain's susceptibility to viral infections. Our research team has discovered the heightened susceptibility of the brain to aerosol transmission of common viral pathogens. Arboviruses that normally infect through insect vectors cause limited systemic disease, but when delivered through aerosol route, they rapidly cause lethal encephalitis. How the brain's innate immune response and systemic adaptive immunity protect the CNS is a current focus of the lab. We have discovered that host exposure to seasonal influenza determines susceptibility to lethal avian influenza. Newly proposed studies will elucidate the role of innate and adaptive immunity in conferring this protection. Importantly, from a public health perspective, this team is also researching how immunization protects or predisposes to encephalitis.